Early on, Mix-A-Lot had an ear and a passion for music. Soon after high school he began DJing parties at local community centers. When the song “Rapper’s Delight” by The Sugar Hill Gang was released in the fall of 1979, it brought rap music to the world outside New York City for the first time. In Seattle, the first performers to become known for doing hip-hop was a group called the Emerald Street Boys, who were both rappers and breakdancers in the early 1980s. Sir Mix-A-Lot, inspired by the Emerald Street Boys, was soon making his own music using drum machines and synthesizers he had learned to play himself. By 1983 Mix-A-Lot had begun playing weekends regularly at the Rainier Vista Boys and Girls Club in South Seattle. Soon he moved locations and started throwing his parties at the Rotary Boys and Girls Club in the Central District. It was there that he met ‘Nasty’ Nes Rodriguez, a local radio DJ and host of Fresh Tracks, the West Coast’s first rap radio show on Seattle station KKFX (KFOX). Rodriguez invited Mix-A-Lot onto his show to air his music, and Mix-A-Lot quickly became the station’s most requested artist. The duo teamed up to start NastyMix Records, and in 1987 released Sir Mix-A-Lot’s first hit single “Posse on Broadway.” The song featured several Seattle neighborhoods and was an early example of a city besides New York using hip-hop to export culture. Mix-A-Lot followed this up in 1988 with the release of his debut album Swass, which would sell over a million copies and be certified platinum. Sir Mix-A-Lot is best known for the single “Baby Got Back” from his 1992 album Mack Daddy. The song was about his preference for women with curves, and MTV would air the video only at night because of its suggestive nature. The controversy helped make the song more popular. “Baby Got Back” sold over two million copies, was the number one song on the pop chart for five weeks, and won the 1993 Grammy Award for Best Solo Rap Performance. 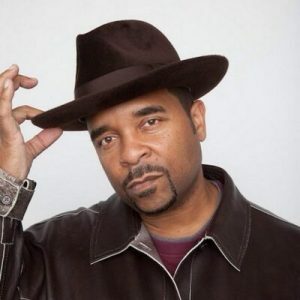 Sir Mix-A-Lot remained active musically, releasing three more albums; Chief Boot Knocka (1994), Return of the Bumpasaurus (1996), and Daddy’s Home (2003). He has also collaborated with Seattle grunge bands Mudhoney and The Presidents Of The United States Of America. In addition to performing live shows Mix-A-Lot is still licensing “Baby Got Back” for use in numerous commercials and movies.